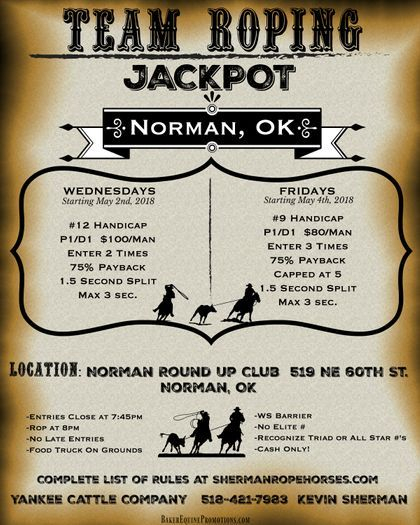 If #9 has 50 teams in Qualifier, then roping pays $8,000 to ropers and the Finals gains $500 in added money. If that happens 8 times, then FINALS will have $4,000 in added money for the #9!! 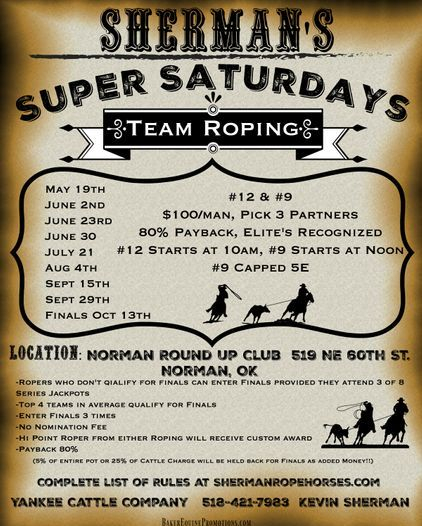 If a team qualifies twice in the same roping, then team must split and get different partners for Finals, points still count.